The world has awakened to the power of social media, which explains the comprehensive use of social media by individuals and businesses alike in our day-to-day lives. Whether it is from the comfort of our homes or offices or even on the go, most of us access social networking sites. And, this increased use of social media can be attributed to the considerable rise in the use of smartphones and internet across the globe. Moreover, our social media presence is not restricted to just one website. For example, many have a profile on Facebook, Twitter, Instagram and LinkedIn. So, it becomes difficult to handle that many social media accounts, which means that there is a chance that some social media profiles are not regularly updated. This is why you need a comprehensive social media management tool, such as Hootsuite. These tools make it relatively easy to deal with multiple social networking accounts, profiles or even business pages. The major benefits offered by Hootsuite are that it has an easy-to-use web interface, without you being required to install any software, and you can manage social media profiles in multiple streams from a single dashboard. It also enables you to schedule your messages and publish them at your preferred times, get detailed analytics reports about your campaigns, get more likes and followers and more. Also, Hootsuite offers flexibility with regard to pricing, as you can avail its free plan or any of the premium plans. But, are there any other social media marketing solutions which can be used rather than Hootsuite. Well, let us take a look at some of the alternatives to Hootsuite in this article. The objective is to review the features, pros and cons of various popular and highly effective SMM tools that are good competitors of Hootsuite. Top of the list is Sendible. Everything about this service screams quality and exceptional user-experience. Sendible offers you a wide range of features that comes with excellent usability and most importantly, allows you to manage your social media campaigns and daily tasks with ease, speed and accuracy. The platform has a slick and intuitive user interface which is insanely easy to use and navigate around. Integration with all key social networks (Facebook, Twitter, LinkedIn, Instagram, Google+, Pinterest) and blogs (Medium, WordPress, Blogger.com). Innovative set of Instagram tools. MakeawebsiteHub.com has an exclusive discount for all Sendible subscriptions. Use our links to get a 15% discount. You will not find this offer anywhere else. Use this link to get 15% off your Sendible subscription. Still need convincing? Read our Sendible review to find out more. AgoraPulse enables you to manage all your social media posts or messages from one place. It does so by using a social media inbox, which is similar to an email inbox, that can also retain all your old conversations. Additionally, you can easily sync your social media accounts in real time and get updates about every like, tweet or comment that you may receive. This allows you to reply to it, review any filtered content, assign or tag in quick time and get to inbox zero within a few minutes every day. You can also monitor your progress and the engagement of your target audience through the stunningly customised reports which are made available to you in PowerPoint format with amazing graphics. Pepsi, Yahoo, PlayStation, McDonald’s, Volkswagen, Nivea and more. 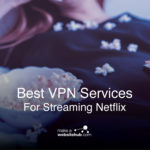 You can also use their 100% no questions-asked refund policy to cancel your monthly subscription plans at any time. It enables you to manage Instagram, Facebook, Twitter and so on. The analytics reports are extremely easy to understand due to the use of great graphics. It gives you the ability to categorise your audience (who engages the most, who posts messages about you the most and so on) automatically through qualification badges or manually by tagging your users. It offers you opportunities to arrange promotions, campaigns and contests that may lead to improved engagement. It does not support the management of Pinterest, Google+, YouTube and more. The most basic plan (Micro plan) only extends support for the management of one social media account, which is expensive at the starting price of $15.00 per month. With Buffer, you can smartly schedule your content across a wide range of social media sites by using the virtual queue. In other words, you can easily add your posts in the form of articles, news, videos, photos and more to the queue, irrespective of whether you are at home or the office or on the go. You can then stagger the posting times of the content as per your convenience. In fact, the Buffer app shares your posts with your target audience at the best possible times throughout the day, giving it the best possible chance of being noticed. To enable you to achieve such consistent scheduling, Buffer also offers you browser extensions (for Google Chrome) and mobile apps (for iOS and Android). And, it does not just attract traffic to your social media profiles, but also provides you with valuable reports and insights to help you understand the effect of your posts on your audience. Business Insider, Fortune, About.com and so on. If you are an individual and have multiple social media profiles, then you can either use the free Buffer plan or the Awesome plan (price starts at about $10.00). If you run a business, you can choose from the small, medium and large plans, the prices of which range from $99.00 to $399.00. Additionally, Buffer also provides you with an enterprise plan, which costs around $899.00 per month. It enables you to manage Facebook, Twitter, LinkedIn, Google+, Pinterest and more. You get the ability to post content to your social media profiles or pages, without having to individually schedule them. Buffer enables you to create your own images (using Pablo) which have the perfect size and format for Instagram, Facebook, Twitter and Pinterest. Buffer supports RSS feed integration with all its plans. All Buffer paid plans are configured for a team of at least five members. So, if you have a team of only three members, you still have to purchase the plan for five members. This tool equips you with a clean dashboard to scale your social media marketing efforts in an organised manner. You can use its unified inbox to have all your social media messages under a single stream, track and join conversations and remain engaged with your audience. It also allows you to divide your workload by delegating different SMM tasks to your team members. And, the team can easily collaborate with live activity updates, ensuring that there is no real-time message collision (no duplicate posts from two members at the same time). Moreover, this SMM tool helps you stay up to date with your social media engagement activities across all your profiles by analysing the results of your efforts with weekly reports. You can even monitor the various keyword searches performed. This enables you to measure your performance with simplified analytics reports, containing easy-to-understand data. You can also get hold of unlimited presentation-ready reports at no extra costs, which can be exported to PDF or CSV format. Dove, Hyatt, PepsiCo, UPS, Stanford University and more. Sprout Social provides you with three different plans, namely Deluxe, Premium and Team, with prices starting from as low as $59.00 per user per month. You can change or cancel your plan at any time, as per your convenience. It enables you to manage Facebook, Google+, Twitter, LinkedIn and so on. Sprout Social allows you to add customised logos to the analytics reports, which is useful for agencies that need to submit such reports to their clients. You can try out its features during the initial free trial period of 30 days. With Sprout Social, you can use the highly effective social CRM tools, including shared customer records and advanced scheduling tools (for example ViralPost). It does not support the management of Facebook groups, LinkedIn groups or Pinterest. This tool was launched primarily focused on increasing productivity solutions through the effective management of Twitter. Hence, it was previously known as TweetLater.com. 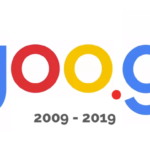 However, slowly and steadily it also started looking at improving the overall productivity of different social media sites and changed its name to SocialOomph. Following those people who follow you. 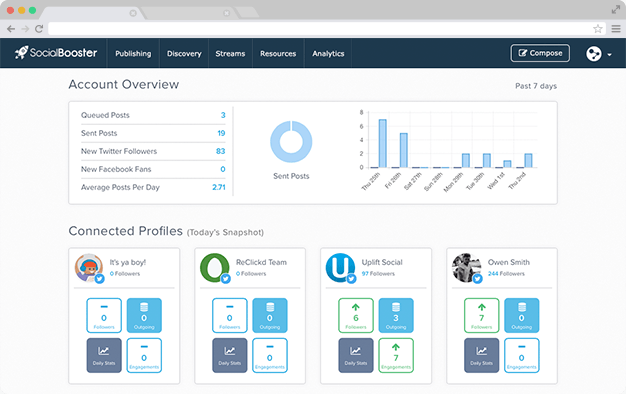 In addition, for all social media platforms supported by SocialOomph, it is possible to schedule posts, track quality profiles (along with the chance to follow them) and monitor social media activities. 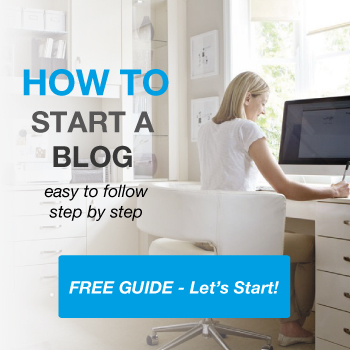 It even allows you to schedule blog posts from unlimited blogs. And, its auto-responder feature ensures that you stay engaged with your audience on your profiles. SocialOomph gives you the opportunity to get several SMM services for free or buy different enhanced productivity services for your platforms. Also, payments for professional accounts can be made every two weeks (prices starting at around $17.97), after the free trial period of seven days. For more Twitter management features, you can subscribe to the SocialOomph Twitter Unlimited plan for $6.97 every two weeks. It enables you to manage LinkedIn, Facebook, Twitter, Pinterest and more. In addition, you can manage Tumblr, blogs, RSS feeds, Plurk and App.net. You can even manage unlimited accounts with the free plan. It helps you stay clear of spam through advanced DM management. Due to its initial focus on Twitter, a lot of the advanced features are only meant for that social media platform. This is another comprehensive SMM solution that enables you to track all your conversations across a wide range of social networking platforms by creating smart streams. It also provides you with the ability to identify trends as well as analyse and review them to make well-informed decisions for your website, blog, business, brand or products. Additionally, ViralHeat is able to capture the most relevant data across all your social channels in real time to empower you with an appropriate measurement of your social efforts. Moreover, ViralHeat helps you get plenty of content for reference, schedule your own posts in advance and stay organised through its content calendar. It also allows you to be an active part of various social conversations and interact with your audiences in real time. It was acquired by Cision, the industry’s premier global media intelligence software company. And, this is bound to raise the bar of communication with smart services and tools for PR professionals, social and content marketers, brand managers and more. No specifics about the pricing of its plans are mentioned on their website. In fact, it offers custom pricing plans, which could be a good option for some users. With ViralHeat, it is possible to manage Pinterest, Twitter, Google+, Facebook, LinkedIn, FourSquare, YouTube, Instagram, Tumblr, Glassdoor and so on. On the basis of key metrics, such as sentiment (for specific keywords or profiles), reach and impact, this tool is able to alert you about any new trend or crisis through customised emails. It gives you the ability to customise a number of social media accounts and a number of users. The acquisition by Cision may bring about some changes to ViralHeat’s functionalities in the near future, which may not be too favourable for all its user. It lacks transparency regarding the pricing of its plans. It does not offer a free trial period, which can be a major drawback for several of its new users. This SMM tool is focused on getting the most out of your social efforts to engage with your audience. So, it offers you detailed reports based on the scientific analysis of data that helps you or your business make better decisions. Above all, this tool also enables you to remain engaged with your audience by consistently tracking all your social conversations and maintaining a good relationship with all your customers and key stakeholders. The real-time feedback empowers you to formulate better business strategies for the future. It also enables you to monitor keyword searches and use an NLP-based sentiment analyser to learn about your audience’s opinion about your products, brand, business and so on. In fact, Social Clout even provides you with an analysis about your competitors’ profiles, so that you can determine where you stand against them. You can manage Facebook, Instagram, Twitter, LinkedIn, YouTube and more. Additionally, you can also manage online forums, news sites, blogs and so on. It helps to monitor your brand mentions on social networks in real time. You can use the Starter paid plan for free for the first 30 days. It does not offer unlimited analytics reports. It is only possible to manage Facebook or Twitter profiles with the free Social Clout account. 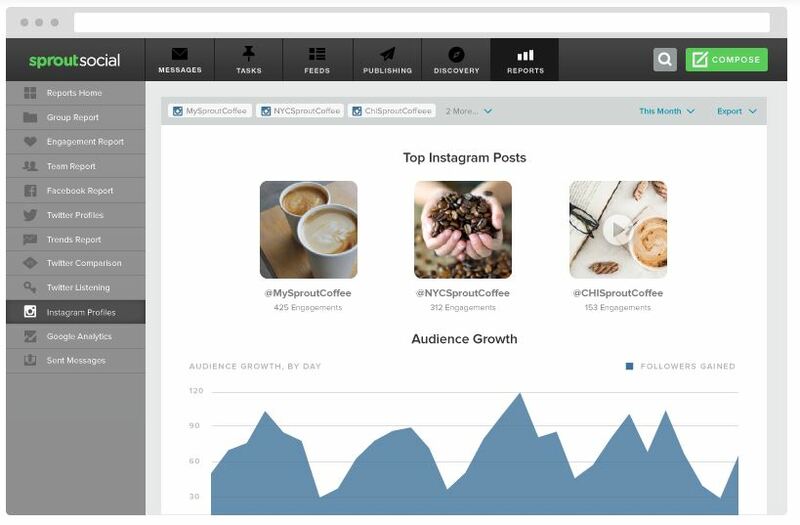 One of Hootsuite’s closest competitors is Social Booster. If you find it difficult to monitor the progress and drive more traffic to your Facebook business pages, Twitter profiles, YouTube channels, LinkedIn profiles and so on, then Social Booster could be the one for you. It can fulfil all your SMM requirements for your individual social media profiles or business pages. If you are offline for a while, Social Booster still allows you to ensure that your profiles remain active. This is made possible through advanced scheduling of messages or posts that you plan to submit on the various platforms. In fact, you can automate this process and schedule the posts and tweets several weeks and months in advance through the Social Booster dashboard. Its single dashboard also empowers you to keep track of your social media conversations and increase the engagement with the audiences on various platforms. And, to monitor the results of your posts (promotions or campaigns) with regard to the traffic they were able to generate, you can even get well detailed analytics reports. Moreover, Social Booster is a great SMM tool for businesses. It encourages increased collaboration within your team by allowing you to delegate the various social media tasks to different team members and maintain a smooth workflow. And, you are able to reach out to a much larger audience without spending additional time by using the simple dashboard to leverage the maximum amount of benefits of social media. This also helps to improve the overall business productivity. You can even opt for paid advertising on different platforms, including Facebook and Instagram, to get more visibility and brand promotion for your business. Social Booster offers a free plan as well as several paid plans. In any case, you first sign up for the free account and select your category. You can choose between Business & Personal (for individuals or businesses) or Social Media Agency (for companies or agencies that manage the accounts of multiple clients). If you choose the Business & Personal option, you will get a variety of premium plan options, such as Personal, Toolbox, Pro and Enterprise, with prices starting from as low as £7.16 per month (annual subscription). It enables you to manage Facebook, Instagram, Twitter, LinkedIn, YouTube and so on. It is ideal for a business of any size (small, medium and large). Whether you are using it for the first time or are an experienced user, you get 24×7 customer support, which makes it a must-have tool. You get 500 free followers for your Twitter profile. It gives you the opportunity to conduct paid advertisement campaigns directly from the dashboard. It provides RSS feeds, ads manager, advanced analytics and more with several of its plans. You cannot maintain Google+ business pages with Social Booster. They are not transparent about the pricing for various paid plans, as this is not available directly on their website. Instead, you can only see these details after you have signed up for the Social Booster free account. Below is a comparative table of the highly effective SMM tools discussed above. Clearly, there are many good Hootsuite alternatives that can save you a lot of time and can result in better engagement, while managing multiple social media accounts. However, Social Booster emerges as the best option among this list of SMM tools due to its unique features, such as 500 free Twitter followers, 24×7 customer support and the ability to run ads directly from the dashboard, in addition to the standard SMM functionalities for individuals and businesses. If you have used or are currently using any of the above listed SMM tools, please share your valuable experiences in the comments section below. Affiliate disclaimer: I recommend Sendible because I’ve been using them to manage my social media accounts with great success. 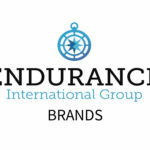 I truly believe they offer a superior service to Hootsuite and other SMM tools. That’s why I’m singing their praises. All Sendible links on this page are affiliate links which means that I will get commission if you buy a subscription with Sendible via one of my links. This helps me to run makeawebsitehub.com and keep all the guides on this site free to use and share. Which tool allows to upload an excel sheet with 200 tweets at once like HootSuite does ? Hey, SocialPilot allows you to upload an excel sheet with 500 tweets at a time. And the best part you can even include images. Thanks, Jamie! I really appreciate that breakdown as I don’t have much time to research. You totally confirmed that HS is still my preferred app. Does anyone the best tool for handling more that Social Sites? Blog Sites, Comments etc. I tried out Social Booster based on your recommendation, but they actually do not support Instagram. Thought you should know to update it! Yep found out the same today to my detriment! Also I can’t seem to cancel my subscription – there seems to be no way to do it. Just praying they don’t keep charging me every month. Which of these tools has the best feature to actively track and monitor your competitors Social Media and Youtube activities (main social profiles of competitors and its followers )? THanks! I really think you should include eClincher on the list. Awesome tool, great features and performance! Thanks David. I’ll take a look. Doesn’t look great to me when compared to these other tools. I like Hootsuite and that is all I have used. But this past year they stopped being able to post to linkedin groups inside of hootsuite. That is the reason I am looking for other options. Great information but still confused on which one to try that will do the same. I’ve been using Sendible for over a year and found it very easy to use. They have a 14 day free trial so you can try it out with no cost to you. – Sendible Free Trial – also as I’m such a huge fan of Sendible you can get 15% off the cost if you visit the site from here. 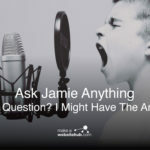 Hey Jamie, have you heard about SocialPilot? Did you have a chance to look at it? I think you should really give it a try. It has a 14-day free trial as well. I’m mostly just looking for something similar to Hootsuite with an auto scheduler which sends your tweets at the best time for most impact. 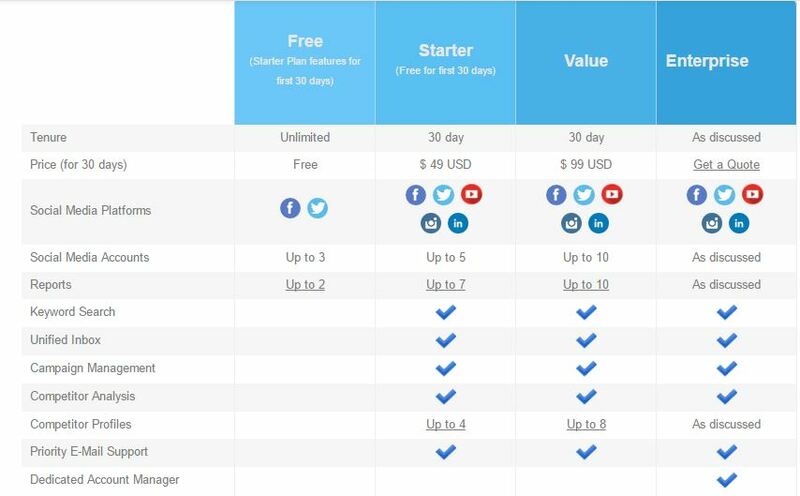 Which would you recommend as the best low-cost options for this as Hootsuite only allows 30 tweets per day then you have to pay $29 a month which is quite expensive for just a personal account. I also just wondered on a side note whether anything can organise twitter feed (not necessarily your own) by the most commented or retweeted each day instead of getting it chronologically? So for the accounts, I follow I want the most viral things first. I tried hootsuite. what can I say? TERRIBLE PRODUCT! allows me to add facebook as a ‘stream’… but will not allow me to post. Add instrgram & linked in… then try to add twitter… go through a vicious cycle of attempts… no error message just won’t add it. provide all the screen shots, they have me try this and that… and then tell me – you can only have 3 streams and you already have 3….. even though I can only post to TWO! Next day, remove facebook… add twitter… make a post. FAILS for instagram with a vague message. I send screenshot and today they cannot receive my screenshots??!! I tell them, I was able to post last week to instagram just fine. their response? Well , at least it worked then! This is a JOKE of a software product, and I would NEVER pay money for this kind of JUNK! I would recommend checking out OneUp if you only need scheduling, and not some of the other features like replying and listening. Much more affordable.